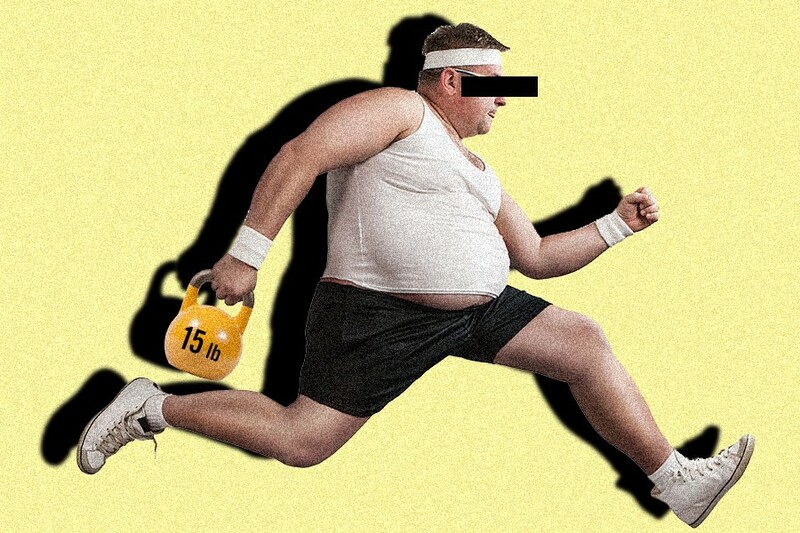 Why Is It So F&%#*!$ Hard To Lose Those Last 15 Pounds? Even in the wonderfully oversaturated world of diets and weight-loss plans, the last 10 to 15 pounds might as well be called the “fuggedaboutit” phase. Because it can often feel like, no matter how hard you train and how little you eat, that little kangaroo pouch is going to stay strapped to your abdomen. But what is it about those last 15 pounds that makes them cling on to you for dear life? “As you drop excess pounds, your metabolism adjusts your body’s energy needs to serve less weight,” says Jason Boehm, a board-certified nutrition specialist. In other words, if you’ve been maintaining a particular diet throughout your weight-loss plan, your body won’t continue to metabolize food and burn fat as quickly as it once did. That’s why, according to Boehm, the only true way to lose weight — based on myriad articles and studies — is not running, but reducing your daily food intake. “I suggest lowering your daily intake by 200 or more calories, but never below 1,200 calories per day for women, or 1,500 daily calories for men.” Unfortunately, that means that if you jump-started your diet by eating 1,200 calories a day, “you’ll be unable to safely reduce your calories further when your rate of weight loss slows,” explains Boehm. So you can do CrossFit until your kidneys explode, but if you really want to go from dad bod to six-pack, the only sure way is to eat less and sleep more.